Marena lived in rural Missouri. She knew full well the anti-inflammatory benefits of cannabis. 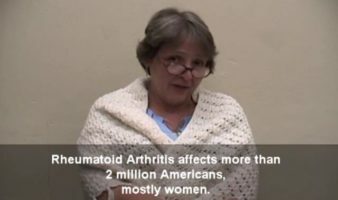 Marena suffers from Rheumatoid Arthritis. Prescription medicines caused her to have stomach distress and bleeding, where cannabis helps her to live a normal life. Marena and her husband had to move to Colorado in order to continue Marena's cannabis therapy without the risk of arrest. They live in Colorado Springs where they are caregivers to those in need.